Games are great. Cheap games are even better. But free games are the best of them all. We're now giving away ten codes for the latest Humble Mobile Bundle: the Made in Korea pack, which features seven games from developers based out of South (not North, for obvious reasons) Korea. Regularly, you'd have to pay $1 to get the old school LCD-style shooter I.F.O and the stealth action game the SilverBullet. $5 would get you those two games, along with the point-and-click adventure Replica, the abstract storyteller REDDEN, and the unique space platformer 6180 the moon. And if you pay over $5, you'll get all that, plus horror adventure Dim Light and puzzle-platformer Sally's Law. Also included is the REDDEN soundtrack if you pay over $5. 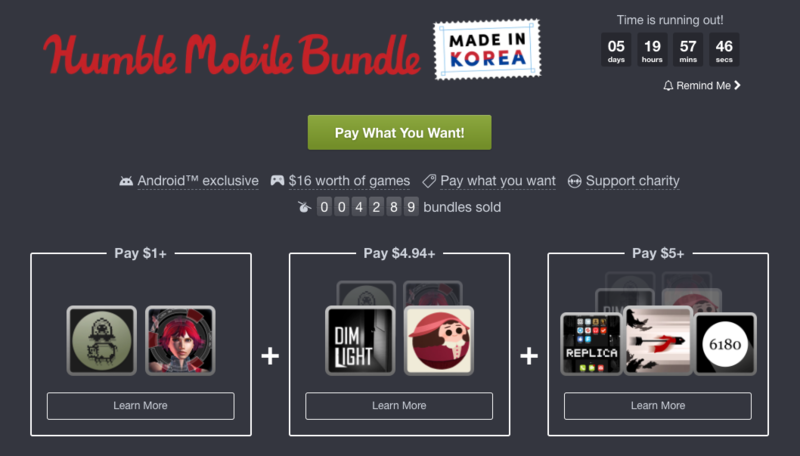 To win one of 10 free codes for the full Humble Mobile Made in Korea bundle, just leave a comment below. We'll select the winners on October 12th. Good luck!